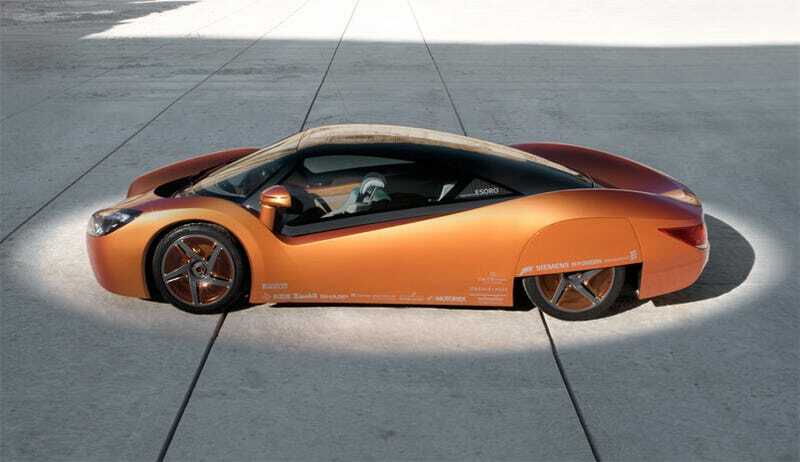 The Rinspeed iChange is an electric car concept promising 0-60 in four seconds along with a transforming rear end that can create two extra seats. And an iPhone controls everything but the driving parts. The dash features an iPhone dock, and as you can see, there really aren't many other buttons—heck, there's not even a slot for the key. So the iPhone is used to turn on the car, control the Harman/Kardon infotainment system with GPS navigation, and, we believe, even handle the air conditioning complete with vents.